Are you looking for a local, reputable contractor to install attic insulation for your home or business in metro Baton Rouge or New Orleans? Mr. Green Jeans offers free, written estimates based on local studies & data plus a 100% satisfaction guarantee! Call today to schedule a free consultation. Louisiana is known for its hot summers and high humidity. And even though you may be blasting your AC, did you know that residential grade air conditioners are only designed to reduce your inside temperature 15 to 20 degrees lower than it is outside? For many Baton Rouge and New Orleans residents, that just won’t cut it! Insulating your attic with one of a number of tried and tested insulation products can help capture the cool air in your home, making your house cooler on hot summer days. And in the winter, it can capture the heat to raise your home’s temperature, reducing your need to use the heater and lowering your energy bills. At Mr. Green Jeans Insulation, we only provide metro Baton Rouge and New Orleans Homeowners with the best of the best insulation products on the market. 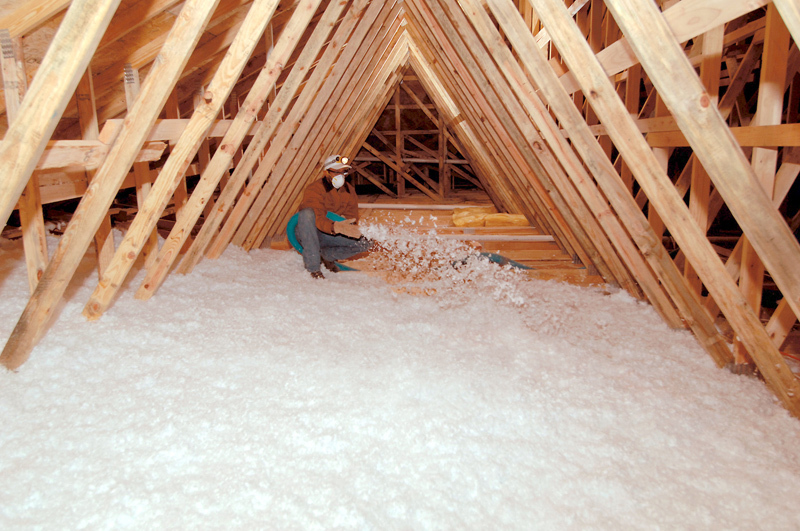 One of the most affordable ways to insulate your attic is with fiberglass. At Mr. Green Jeans Insulation, we use Owens Corning Fiberglass batts to insulate the walls and floors of your southeastern Louisiana attic. Spray foam is easy to apply, and can be used in any attic regardless of the home’s age. Mr. Green Jeans Insulation uses both open cell and closed cell spray foam, depending on our client’s unique needs. Our spray foam products are energy efficient and environmentally friendly, so you can rest assured that by choosing spray foam, you are reducing your energy bill and saving the planet, too. We believe in using only top-of-the-line products, which is why Mr. Green Jeans has chosen to use stabilized Applegate cellulose to insulate metro Baton Rouge and New Orleans attics. This material has a powder adhesive in it. The adhesive reduces dust that is associated with most brands of cellulose insulation. It’s difficult for the average homeowner to know what type of attic insulation product will cool their house the most, giving them the best results for the money. That’s why we recommend you call us for our expert advice and a free quote. You can reach us at (225) 644-0548 in Baton Rouge, or (504) 754-0075 in New Orleans.